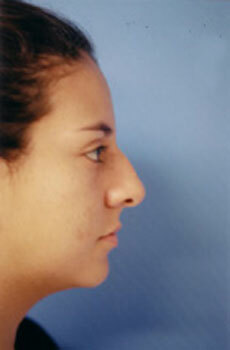 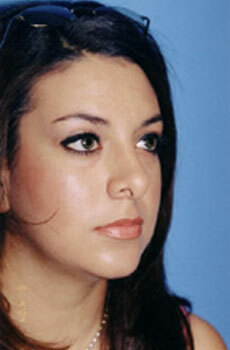 This young woman desired refinement of her nose. 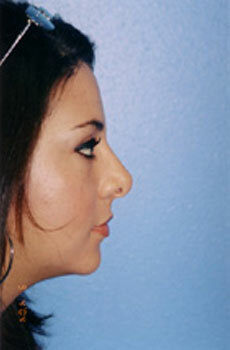 Post-Op: Dorsal profile is aesthetically pleasing with a double point on her nasal tip (a desired trait) to improve her cosmetic result. 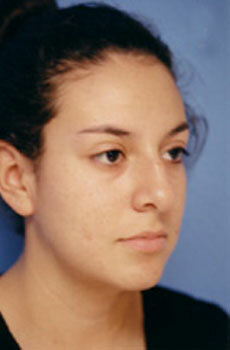 Her tip now is much more refined and has a triangular shape (before it was quadrangular and bulbous).